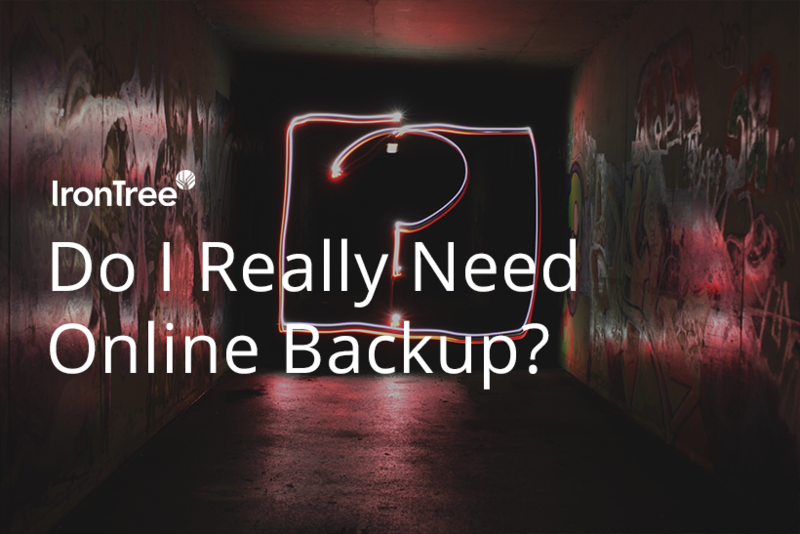 Well, no, you don’t necessarily need online backup. You could assign a staff member or appoint an IT person to the job of encrypting your vital files and copying them to a hard-drive, then taking the hard-drive to an offsite location daily for safe storage. As long as you did do this every day it’d be okay as you wouldn’t lose more than a day’s work if something happened to your original files. But if you have an Internet connection, there’s little merit in going to this kind of trouble. For a reasonable monthly fee, cloud backup software enables you to schedule an automatic daily backup to take place at a specific time, which means that come hell or high water it’ll happen without a staff member even being there. As long as your computers are switched on, and online, the data you’ve selected for backup will be backed up. That’s what you get with an online backup service: peace of mind that the backup of your vital files will definitely go ahead and that you’ll be notified if for any reason it doesn’t. With a cloud backup solution, you won’t have related maintenance issues and you can tailor your package to suit your size of data, upscaling or downscaling as your backup data grows or shrinks. You’ll also be assured of up-to-date file encryption software that’ll keep your files free of malware. While you can still backup your files in the old-fashioned way, it would be hard to argue against cloud backup given the convenience, security and certainty it provides. For the equivalent monthly cost of about four cappuccinos you could have a 4GB package up and running in a few hours.